For drivers who put fuel economy toward the top of their list of priorities, the 2018 Toyota Prius mpg ratings are sure to have strong appeal. Starting at just $23,475 MSRP*, the new Prius is one of the most fuel-efficient and affordable vehicles on the market today! Learn how the Prius gets such strong mpg ratings, and then experience it for yourself near Fort Lauderdale at Toyota of North Miami. 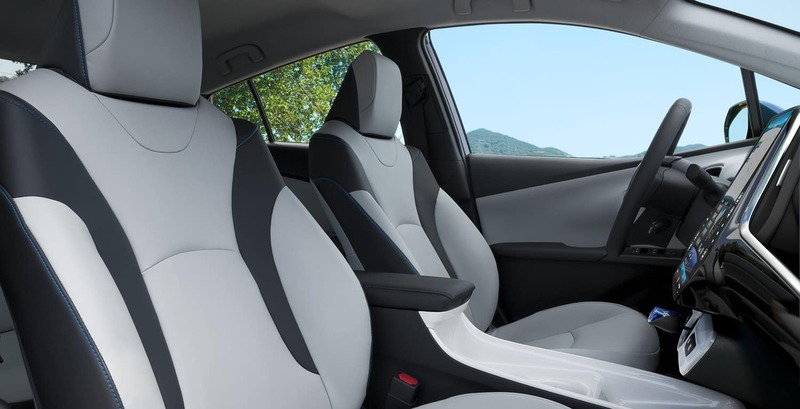 Opt for the LE Eco trim, and you’ll get special tuning and weight reduction to help you get up to an EPA-estimated 58 mpg city and 53 mpg highway! This advanced CVT is controlled electronically in order to maximize both performance and efficiency based on driving behavior and demands. The electric motor on the Prius helps deliver horsepower to the wheels while also acting as a self-powering generator for the vehicle. The other half of the hybrid is a four-cylinder DOHG 16-valve engine that comes with Variable Valve Timing with intelligence (VVT-i), as well as EV, ECO, and POWER modes. The new Toyota Prius is available right now for Hollywood drivers at Toyota of North Miami, where we also have a number of fuel-efficient and affordable used Toyota Prius hybrids for sale. Also check out the Prius maintenance schedule to know when you should bring your car in. There are many reasons people choose to shop with us, and you can discover them all when you visit us at 16600 NW 2nd Ave in Miami, FL. Our doors are open seven days a week, and if you have questions, all you have to do is fill out our contact form or call us at (305) 974-1103.